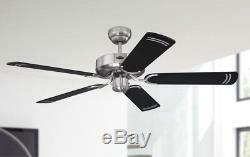 Westinghouse Ceiling Fan Cyclone 132 cm / 52 brushed steel and black blades. More products, service and advice? Check our legal info for contact details. Westinghouse ceiling fan Cyclone brushed steel 132 cm / 52. Do you have questions about this product? We're happy to help! Please have the following item number. Ready so we can answer your questions as fast as possible. We are happy to help and are available from Monday to Friday between 7am and 4pm. 240 Volt / 50 Hertz. Diameter: 132 cm / 52, for spaces with up to 25 m². Blade colour: black / black with silver stripes (reversible). Revolutions per minute: 180 / 130 / 80 (three rotation speeds). Power consumption (Watt): 58 / 40 / 26. 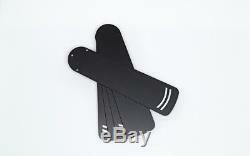 Dimensions ceiling to blades: 27 cm / 10.6" (20 cm / 7.8" when mounted without drop rod). Dimensions ceiling to bottom of switch housing: 33 cm / 13" (26 cm / 10.2" when mounted without drop rod). Winter and summer mode controlled with slide switch on the housing. Fan controlled with pull switch. Remote controls or wall switches can be added (optional). Extremely smooth and quiet operating, no audible motor sounds. Fast order processing is one of our core competencies. Articles that are on stock are dispatched immediately if the order is placed until 14:00. More than 6,000 different products are available right now in our warehouse. What's more, we can give you detailed information about every single one of them: technical specifications, remote controls and wall controllers, design, field of application, size, you name it. We aim to find the right product for your specific needs. Experts on ventilation and heating are available to answer any questions you might have about the products in our range, we are happy to help you make a decision. The service team is available from Monday to Friday between 7am and 4pm. Please check our legal info for contact details. Wall control unit for Westinghouse ceiling fans. Mounting brackets suspenders for installing ceiling fans on suspended ceilings. 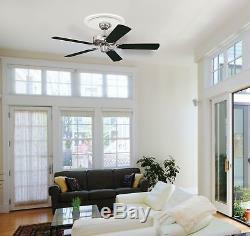 Ceiling fan extension rod drop rod colour finish Brushed Steel various lengths. 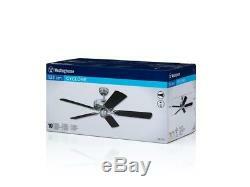 Westinghouse ceiling fan Bendan 132 cm / 52 with lighting and remote control. Ceiling fan extension rod for most brands polished chrome in different sizes. Wall control switch for Westinghouse ceiling fans with lighting. Ceiling fan extension rod drop rod brushed chrome in different lengths. Radio remote control for Westinghouse ceiling fan. Cable set for ceiling fan extension rods in various sizes. The item "Westinghouse Ceiling Fan Cyclone 132 cm / 52 brushed steel and black blades" is in sale since Thursday, November 5, 2015. This item is in the category "Home, Furniture & DIY\Heating, Cooling & Air\Indoor Air Quality & Fans\Ceiling Fans". 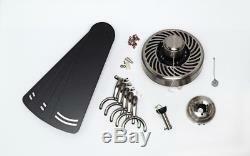 The seller is "theceilingfan" and is located in Nottingham . This item can be shipped worldwide.